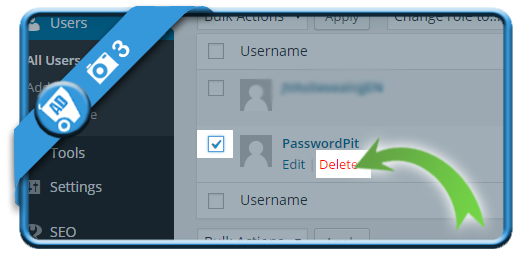 BUT: If there are several admins on a WordPress blog (or if you create a dummy admin), he/she can delete your profile from the WordPress so you have nothing to do with it anymore. by going to http://www. 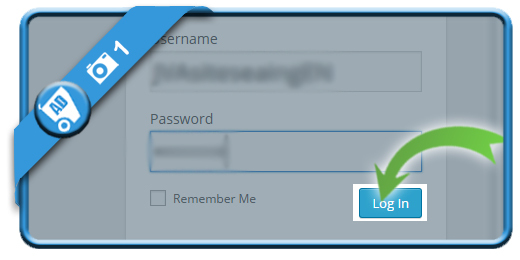 [yoursite].com/wp-login.php and entering the current username and password. 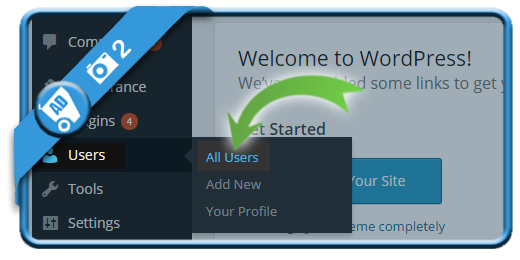 is what needs to be selected now in the WP dashboard menu. 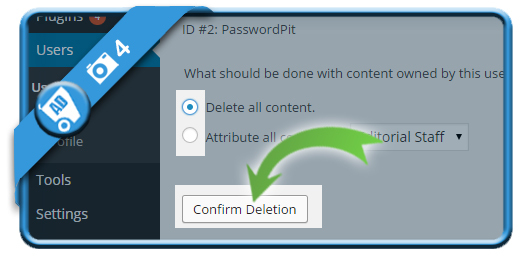 You can’t delete yourself when you’re logged in, but a dummy or other user can click now on the Delete button. but decide first whether your content should be kept on the blog or must be deleted with the account too. 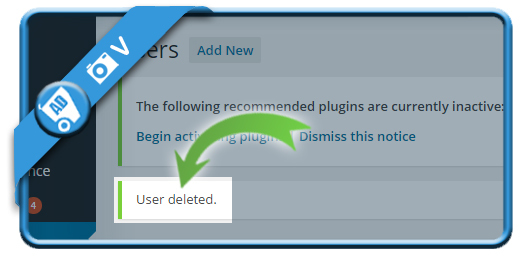 The WordPress user is deleted from the platform.